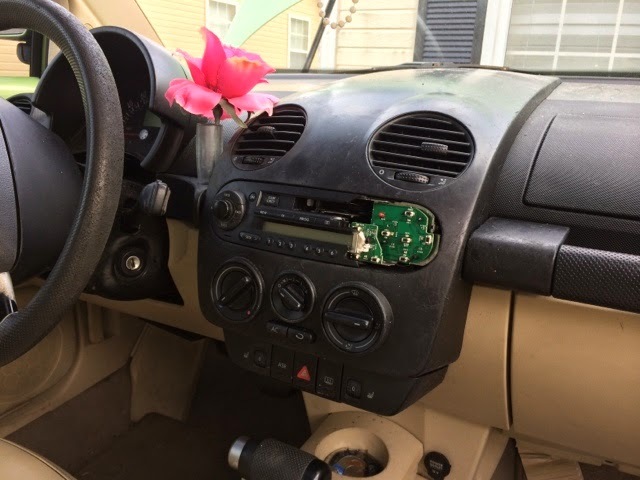 Last week I decided to take on the challenge of replacing my radio in my 2000 Volkswagen New Beetle. The one I was replacing was actually a cassette player (I had the cd changer in the trunk). 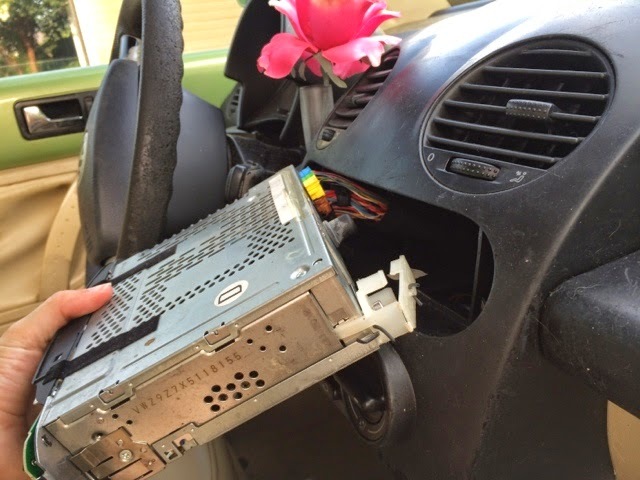 I researched to see if it was possible to replace the radio/cassette player with a cd player from a newer model bug. From what I could tell I wouldn’t have any issue changing it out. All the plugs seemed to match up well. First thing I did was to disconnect the negative battery cable. 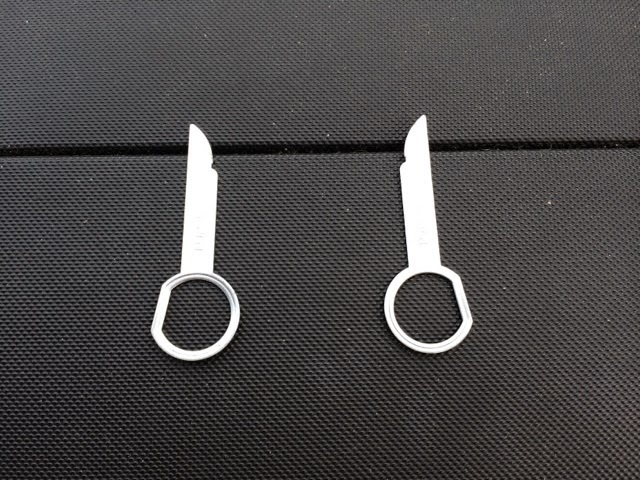 Next I put the removal tools in the slots they are supposed to be in. They will be labeled L and R for left and right. You will need to have the L and R facing up and on the correct sides in the slots. These slots are located under the CD button and Bass button. Once they click in, you should be able to pull out the radio. Be sure to pull slowly so you don’t mess up any wires or plugs. Once I got it out far enough, I unplugged all the plugs starting at the top. It seemed easiest to start with the top one since the radio really didn’t give me much room to work. With all the plugs undone, I was able to take out the radio completely. 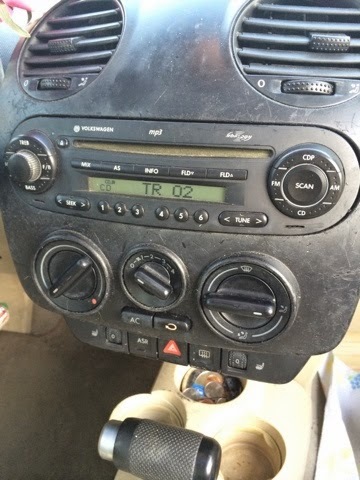 Then I just had to replace it with the newer radio. In my case, I bought a used cd player from a newer model beetle an 04 or 05. Everything lined up exactly the same as what I had just taken out, so all I had to do was plug everything back into the new one. I secured the antenna first, then plugged in all the switches starting with the bottom one. Pushed the cd player back in place and that was it! 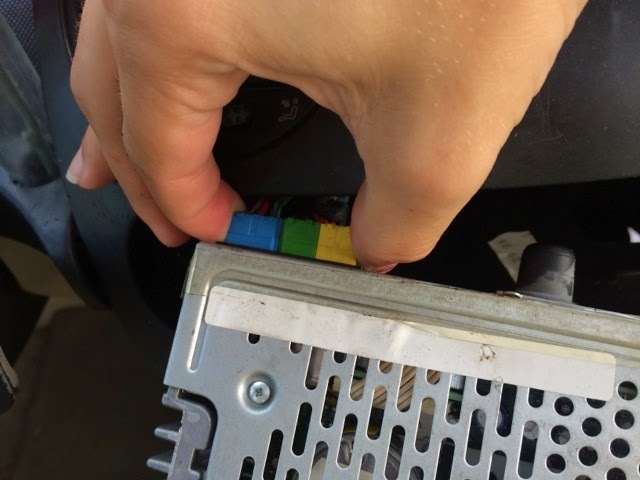 Once I reconnected my battery cable, I turned on the car to see if the cd player would work or not. Everything worked perfectly! I’m not sure if it was because I disconnected the battery or not, but I did not have to enter any codes or anything. It was a very simple switch. I’m super excited to not have to go to my trunk every time to change out my CDs! If you try it, and have any questions feel free to comment below, I will reply usually within the same day!